For our Teenage Gorgeous You! 2017 challenge 4, we sent the finalists on a hunt for the hottest happenings and raddest stores at [email protected] – which quickly turned into a shopping spree for many of them. We check out how they recommend spending a day at the central hotspot. 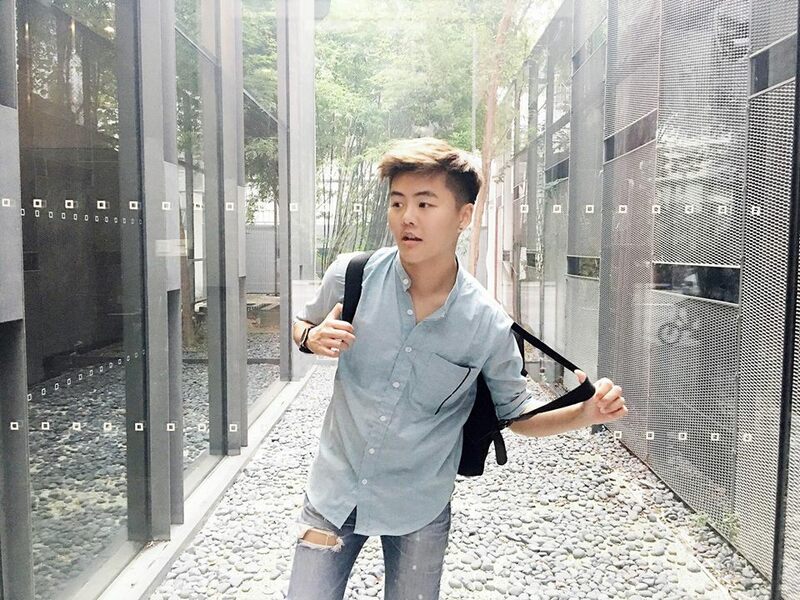 Like Vivien (@Veeeyeo), you don’t need no map or Dora to help you start navigating your adventure within [email protected] Kickstart your day downloading the mall’s very own mobile app, Tring 313, that meets all your shopping requirements. 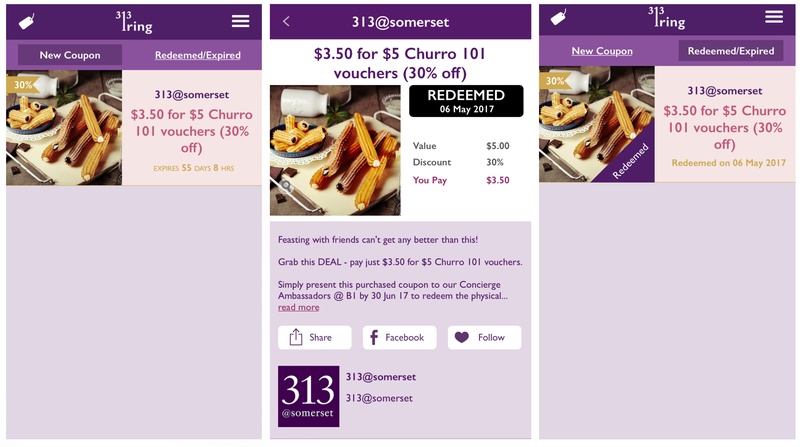 Besides including a store locator and directory, the free app also offers location-targeted alerts when you’re within radius of certain shops – which makes saving even more effective! In addition, why splurge extra when there are exclusive deals and coupons available? Simply search for an available coupon from your favourite merchant, purchase the deal, and redeem the physical voucher at the Concierge located at Basement 1. Shopping truly made easier! The Tring 313 app is free to download from the Apple iTunes App Store and Google Play Store. After some window shopping, put your fresh face forward by checking out the latest makeup looks and beauty products available at Etude House. Joyce (@jwanting) did just that and found discounted lipsticks amongst other squeal-worthy products! Etude House is located at #B2-30. Ditch the pricey restaurants and make this sushi joint your lunch spot like Joanna (@flyflybirdie) did, with its wide selection of sushi and sashimi at wallet-friendly and cosy counter seats so you can gossip with your BFF over that burst of wasabi. Oishii! Umi Sushi is located at #B3-41. It’s shopping time! 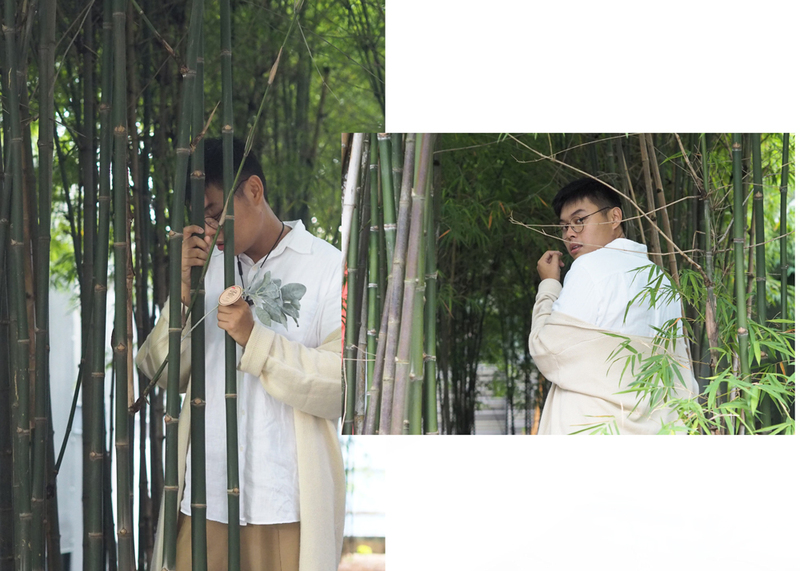 For fashion-forward trends and threads, head to the newly-opened Hot Wind retail store hailing from Shanghai. Featuring unisex apparel and accessories designed from the region, you’re bound to have head-scratching decisions to make while choosing your next #OOTD. So is it left or right, Derrick (@Drrickjl)? Hot Wind is located at #03-31 – 40. 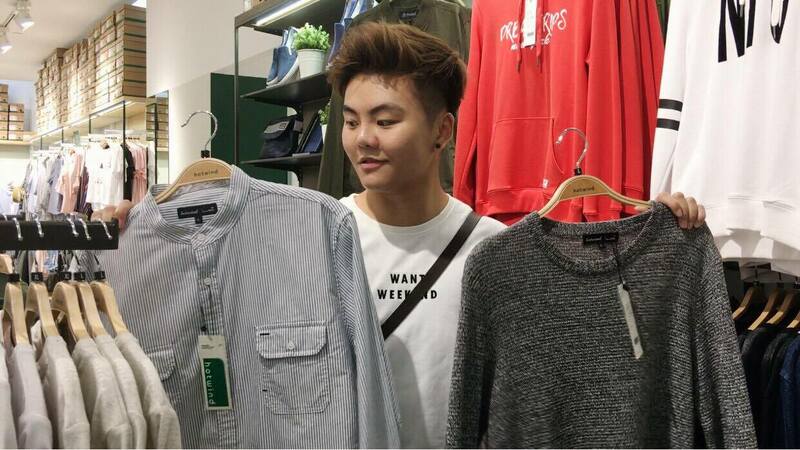 You’ve gotten your new set of clothes, but now what? A pair of shoes to complete the look of course! For sneakerheads, you’d be delighted to discover that [email protected] houses a total of five (!) Limited Edt stores within the mall, so you can find that perfect fit for your feet. 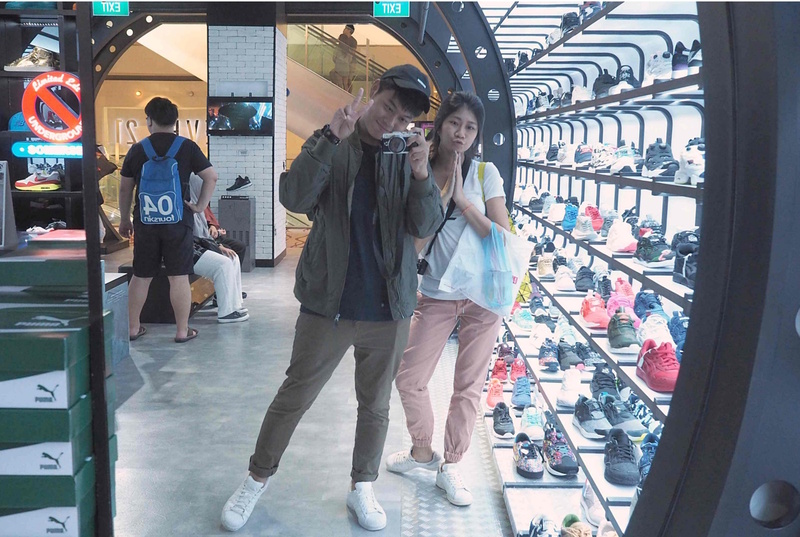 Be it a new pair of sports shoes for your CCA, or fresh pastel-coloured kicks for weekend vibes, you’re likely to be heading home with a new box in tow. Just look at the brightly-lit array of shoes next to Don (@donnygao)! Take a cue from Amin (@amynosaurus) and dig in to the delectable burgers at Wildfire Burgers for a super gratifying meal and make sure to give their award-winning and #InstaWorthy Blackmore 100% Fullblood Wagyu Beef Burger a try while you’re at it! Widlfire Burgers is located at#01-28. If you’re looking for something to satisfy your sweet tooth cravings after dinner, look no further than O’ma Spoon. Wind down your day with O’ma Spoon’s mouthwatering bingsus which will certainly cool you down from the ridiculous humidity. If you don’t believe us yet, we bet Maya’s (@mayatong) facial expressions above would change your mind. O’ma Spoon is located at #04-20/32. Spicy Korean noodles! Melon ice cream! Topokki! 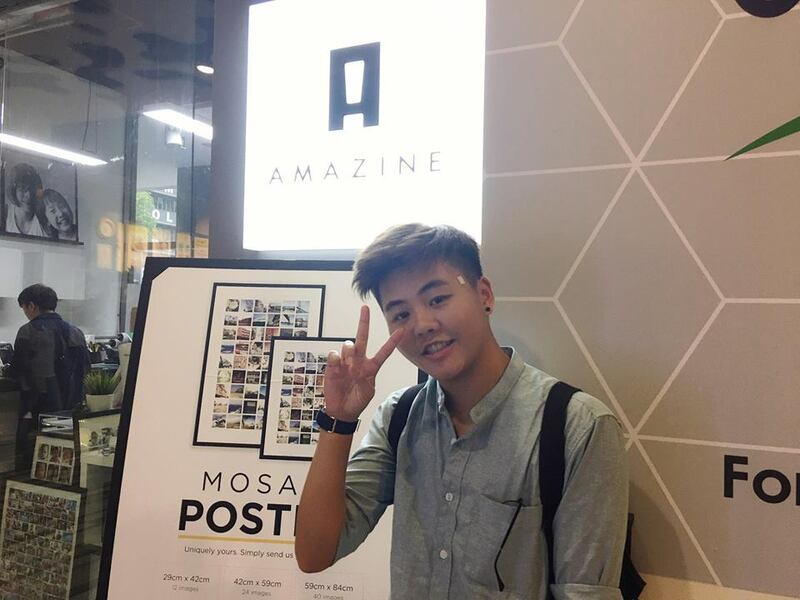 Some us certainly can’t live without our Korean goodies, so there’s every reason to follow Syahira’s (@shishikenobi) lead and check out Koryo Mart to get your homely K-fix, just before ending your day off on a truly sweet note. Koryo Mart is located at #B3-16. What would you check out next at [email protected], and which is your favourite store? Tell us in the comments section below! Instagram is stepping up their Stories game and further pushing Snapchat out of the playing field. From a logo revamp to a user interface colour switch-up, a new app algorithm to the introduction of Gallery posts and Instagram Stories, the IG team has certainly been keeping busy– the latter feature even boldly invades Snapchat’s digital territory with its similar concept. With that being said, the latest Stories update (10.21 version on iOS and Android) that was rolled out on 16 May, might have users quitting Snapchat for good. Here’s why. The social media landscape has been altered forever thanks to the introduction of puppy dog ears, hippie flower crowns, rainbow puke amongst other creative filters. 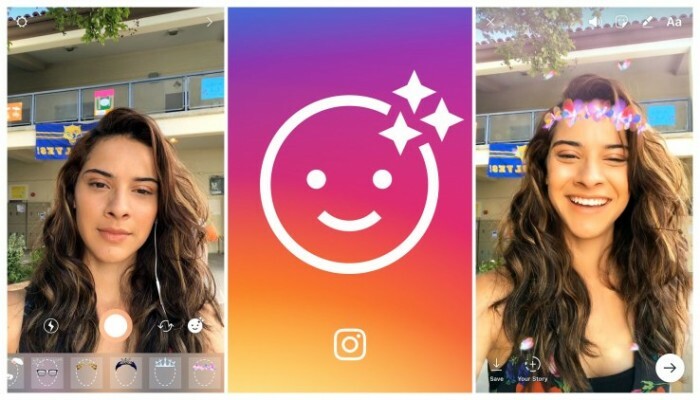 Arguably Snapchat’s biggest lure RN (hands up, everyone who goes onto Snapchat just to repost their photos onto IG Stories), Instagram’s latest face filters update means that users will be able to use of a range similar filters like animal ears, flower bands, etc. directly (there are currently 8 different face filters). Simply swipe to camera mode and click the new icon located on the bottom right. PS: The face filters work with Boomerang too. PPS: You can use certain face filters with two people at the same time, so grab a friend and snap away! It doesn’t seem like a big deal, but we kinda missed being able to use the ‘Rewind’ function to make an otherwise mundane story update stand out. 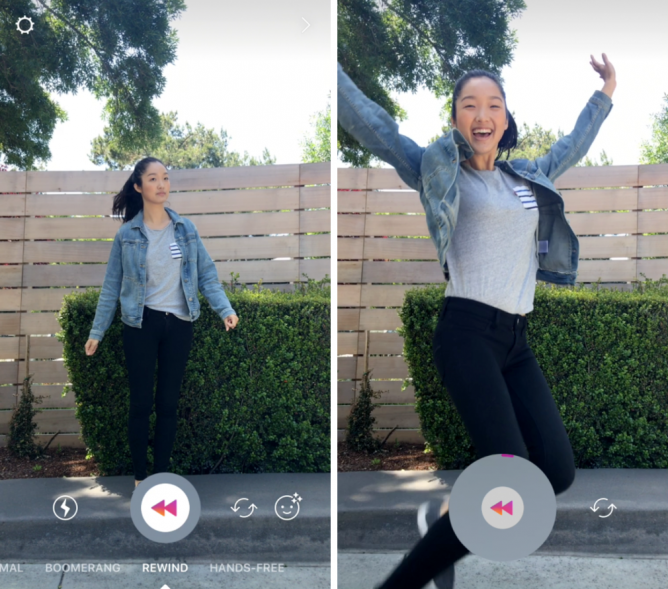 And while the current update only allows it on live-view alongside the Boomerang and Handsfree mode (which means you won’t be able to edit a rewind into your pre-taken video), we’re hopeful IG’s next update will incorporate it as an editable function. 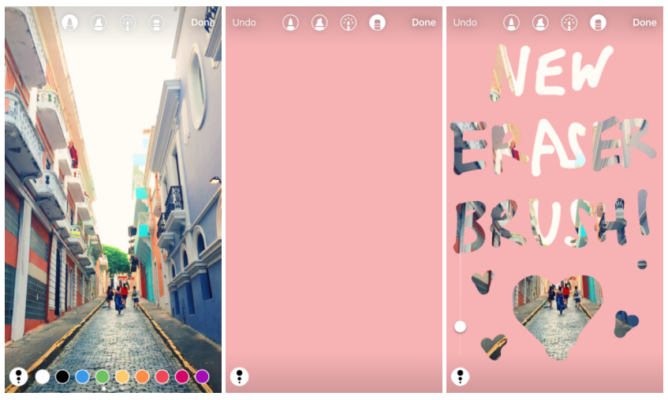 We all know the frustration of trying to draw/write elaborate designs onto our IG story updates, but the process just got way easier thanks to IG’s new ‘erase’ tool. Instead of having to press ‘Undo’ and hope that you don’t run out of undo options, you can now simply erase your ruined scribbles and be done with it. 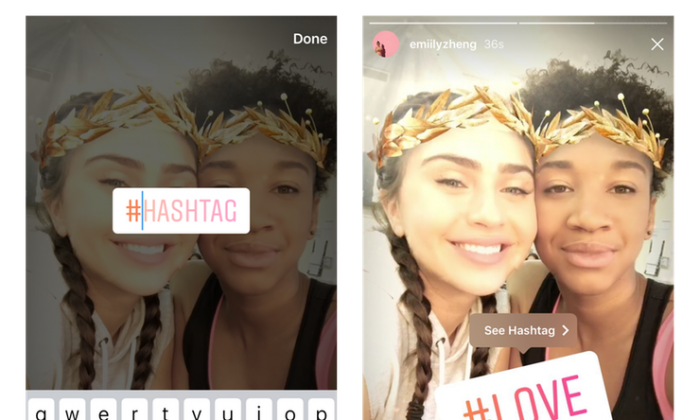 An integral feature on Instagram has always been hash-tagging – previously only reserved for IG posts, you can now choose or create your own hashtags and use ’em in Stories too. This way, you’ll be able to increase the visibility of your posts and easily discover related photos and videos. What are your thoughts on the updates so far, and what features do you think Instagram should include in their next major update? Share your thoughts in the comment section below! Think you’re smooth? Think again. For our Teenage Gorgeous You! 2017 challenge 2, our finalists had to tell us their best pickup lines – Chubby Bunny style. Who was the most mesmerising even with their mouths stuffed full of marshmallows, and who had the best liners? Let’s find out! Thanks to Amyn’s penchant for food-related pickup lines, we found ourselves becoming quite hungry after his video ’cause he kept going on about prata, nasi lemak and shengshiong. Props to the dude for wearing a unicorn onesie out in the hot weather though – enough to forgive his uni-corny liners. For those who don’t speak Malay, “Tak sabar” loosely translates to “Can’t wait”, which when applied to her line means, “I can’t wait to see you”. Points to Chloe ’cause we just learned a new word! Arguably the least clichéd pickup line on this list, it’s hilarious how Derrick made his lecturer LOL with his explosive liner. A wild Bennita appeared! The alter-ego of TGY! 2016 finalist, Ben (@benvoda) made a surprise appearance in Donna aka Don’s video and kinda… stole the show? McAwkward! One of our favourite submissions, Joyce’s ‘collaboration’ with popular K-drama oppas has us going “Daebak!” at each liner. We especially love Soong Jong Ki’s startled choke reaction– either she’s a serious K-drama junkie to be able to remember that scene, or she really went the extra mile. It’s not the most original of pickup lines, but Maya totally won us over by including her own name into that line. Coincidence or genius? You be the judge. Now we know who’s the smoothest of the crew – try this on your crush the next time and you’d probably succeed in at least getting a chuckle out of ’em. What’s your favourite pickup line? Leave a comment to help everyone up their game. Also, check out how the other TGY! 2017 finalists fared in challenge 1 here! 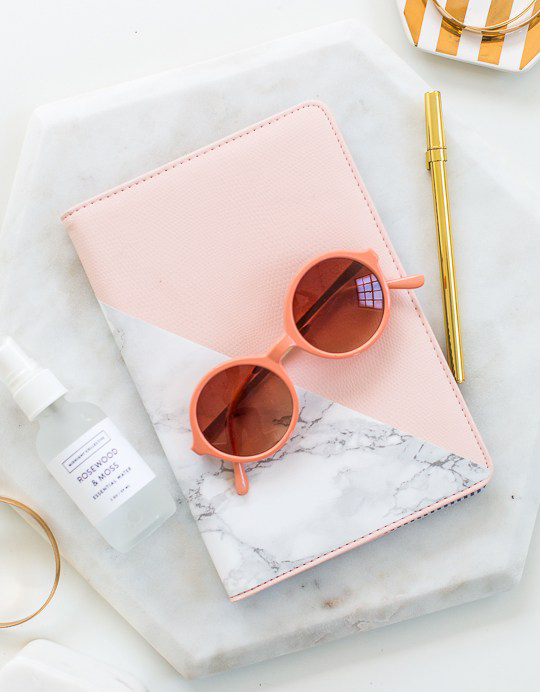 Mother’s Day is just round the corner and if you’re still undecided on a present for the most important lady in your life, why not try these easy (but super impressive) DIYs that’ll take a day, or less, to complete. 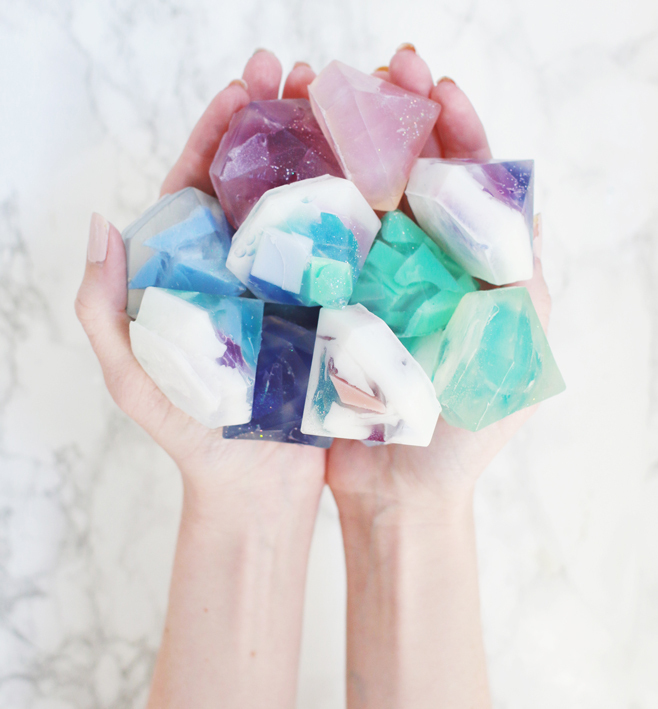 Hands down the prettiest soaps we’ve ever laid eyes on, we’re sure any mum will appreciate these IG-worthy gems. Don’t be fooled by how complex they look – the hardest part would be assembling everything you need (the main ingredients, melt and pour soap base, a silicon mould, mum’s favourite essential oils and soap colourants, are readily available at local craft stores). Plus, you’ll only need a day to finish this oh-so-pretty DIY project. Check out the guide by A Beautiful Mess and share your results by tagging us on Instagram (@teenagemagazine). Improve mum’s bath experience with a handy sprinkle of atas bath salts! 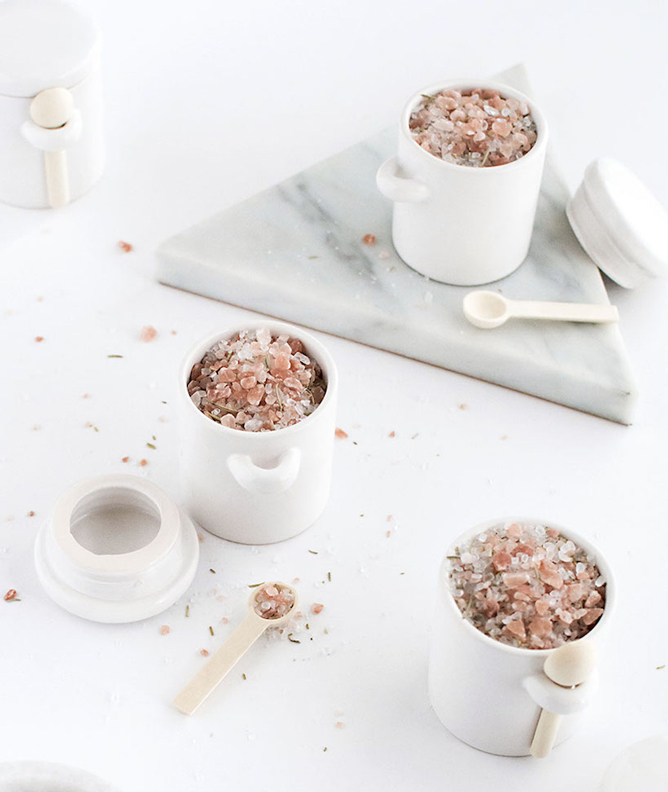 Head to Homey Oh My for this very simple DIY – all you’ll need is plain bath salt, pink himalayan salt, essential oils, rosemary and pretty containers. 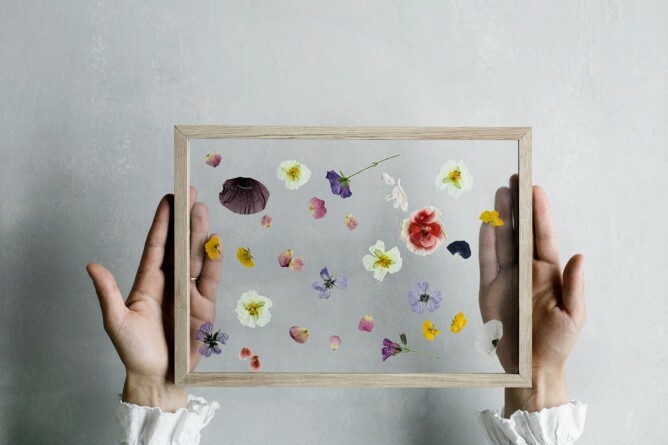 A great decor item that’ll perk up any living space (and mum’s mood), this nature-inspired project will have you hunting around for the prettiest tiny blooms to place within your frame. Should mum prefer a greener look, take a leaf outta Alana Jones-Mann’s DIY book and slot in intricate leaves instead. 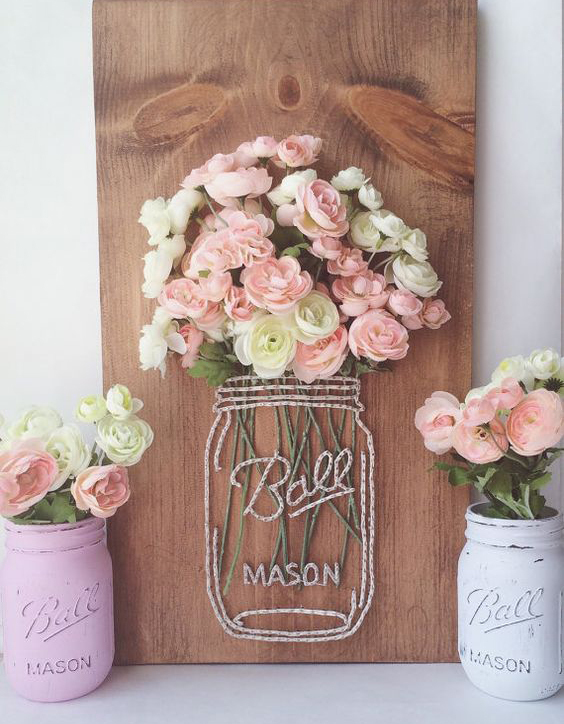 If gifting real flower bouquets are not your thing, try your hand at this mason jar string art. The beauty of this DIY is that you can easily customise your design which ever way your mum would like it, plus it’s relatively low in cost. Head to Dear Paradise for the complete tutorial. 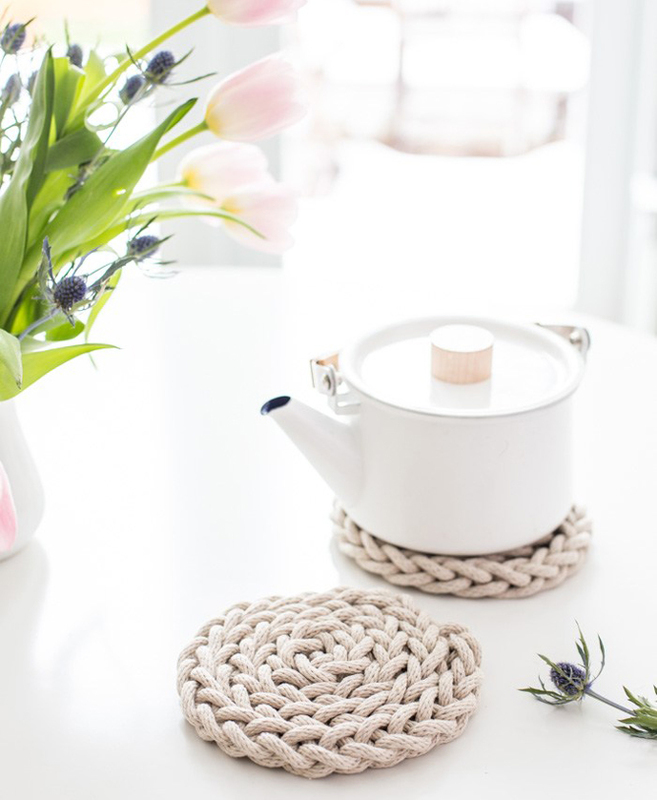 Give your fingers a nimble workout with this DIY finger knitted rope trivet. A sure standout amongst mum’s collection, this intricate trivet design takes only about half an hour to make with the simplest tools – twine rope, tape and your fingers. Flax & Twine gives the lowdown. Perfect for the iPad/Kindle-loving mum, all you’ll need is a new device casing, contact paper and a pair of scissors. Mix up the colour scheme according to mum’s favourite shades; we’re sure she’ll love this practical yet thoughtful DIY by Sugar & Cloth. 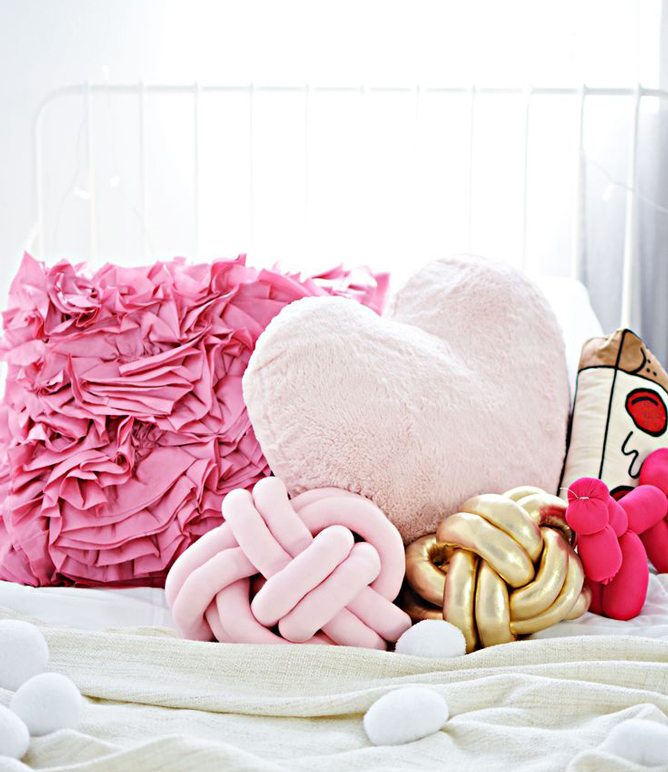 Add a little quirkiness into mum’s kickback routine with a cute knotted pillow that’ll be sure to bring both comfort and likes on her IG account. The tutorial by Little Inspiration is pretty straightforward, but it might take some trial and error to create the perfect knot. You don’t have to stick to those exact same materials – mix and match ’em according to your house decor! 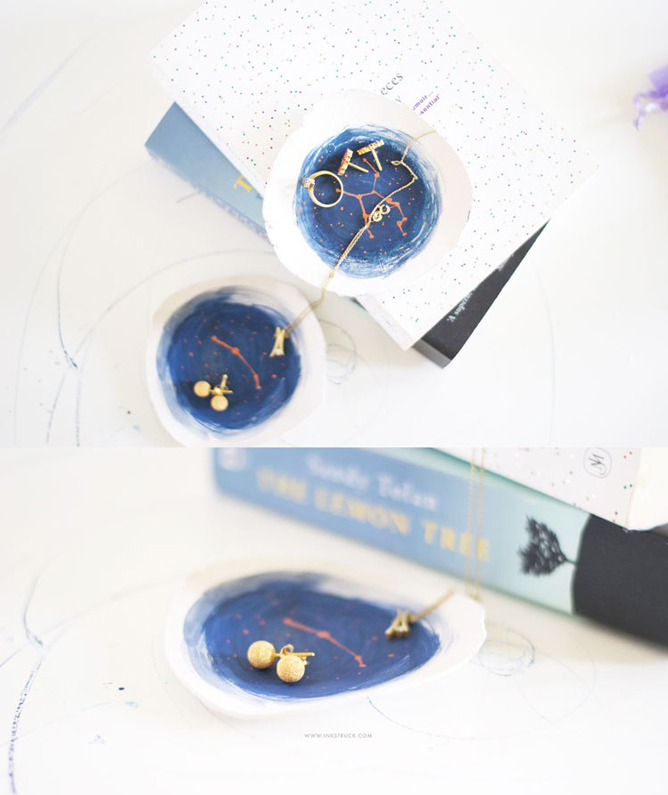 For those with a knack for painting, these constellation trinket dishes will be right up your alley. You can also personalise the constellations based on mum’s star sign and score bonus points for that extra sweet gesture. Inkstruck Studio dishes (lol, geddit?) 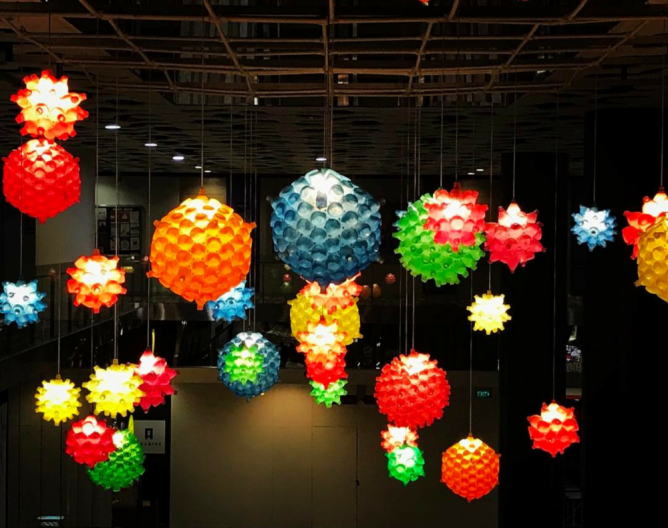 on how to DIY these intergalactically gorgeous pieces. 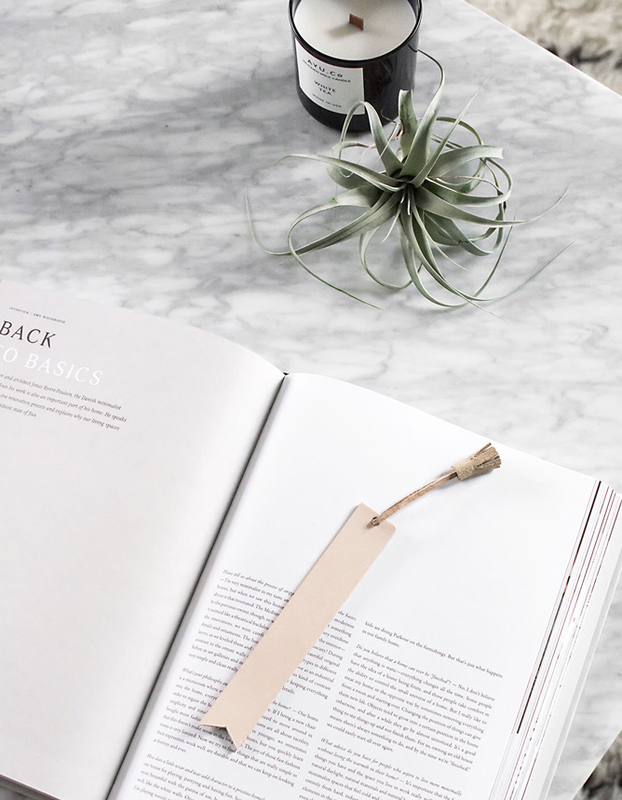 Chances are your mum will hardly have the time to snuggle up with a good book, but perhaps the combo of this leather tassel bookmark and your offer to do ALL the household chores will free up her schedule. Let Homey Oh My help you cut this DIY down to size. 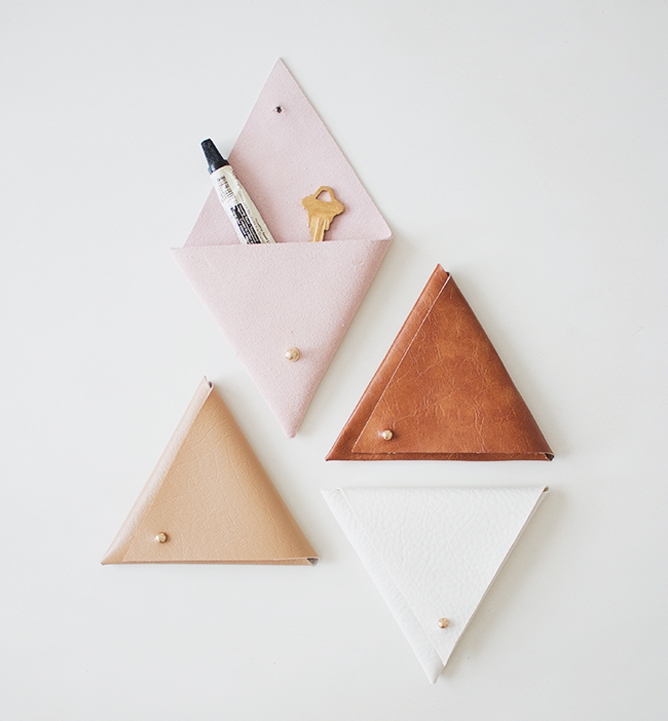 Give mum an extra space to store her knickknacks by making her this handy (and aesthetically pleasing) leather pouch. You can even gift one to each member of your family so you’ll all have matching pouches. Check out Almost Makes Perfect for this simple tutorial. 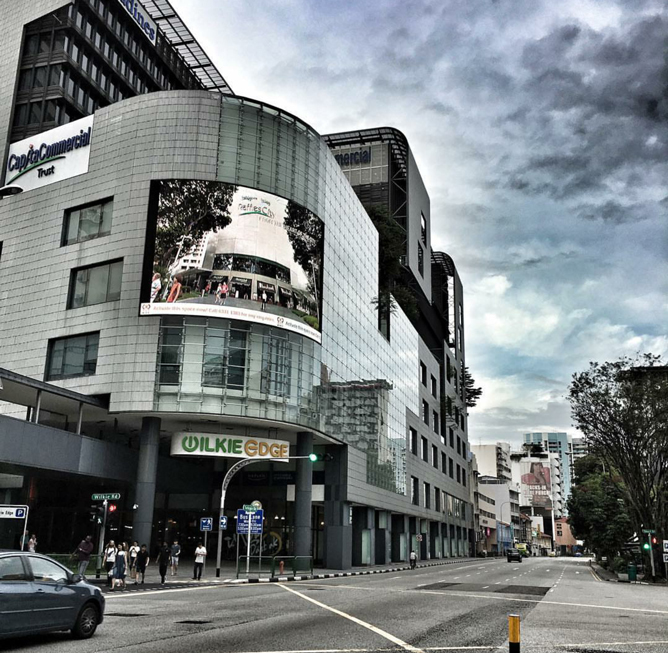 Wilkie Edge has always been known as “that Kaplan building” but behind its scholastic facade lies a wealth of F&B options, IG-worthy spots and even a dojang. As part a challenge for Teenage Gorgeous You! 2017, we sent our finalists there to find out the fun things one can get up to there. These are what they came up with. Had a long day of studying? Head to Wilkie Edge for a pampering session! 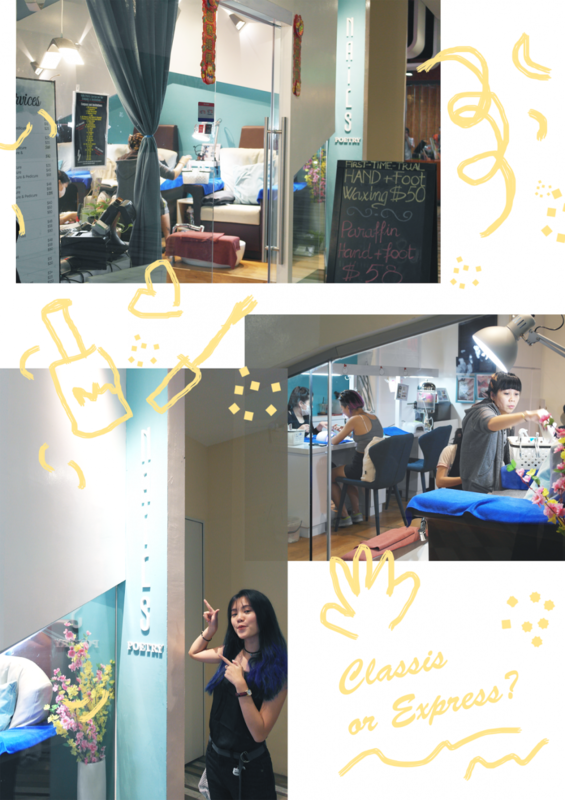 As Vivien (@veeeyeo) found out, Wilkie Edge is well-equipped for students to do exactly that, with a nail parlor, hair salon and even a traditional massage place to boot! Now you know where to go the next time you’re in need of some TLC. Mango floral jelly, kebab platters and cold pressed juice? There’s no doubt Kaplan students are kept well-fed with Wilkie Edge’s many food options. You don’t even have to step out of the building! 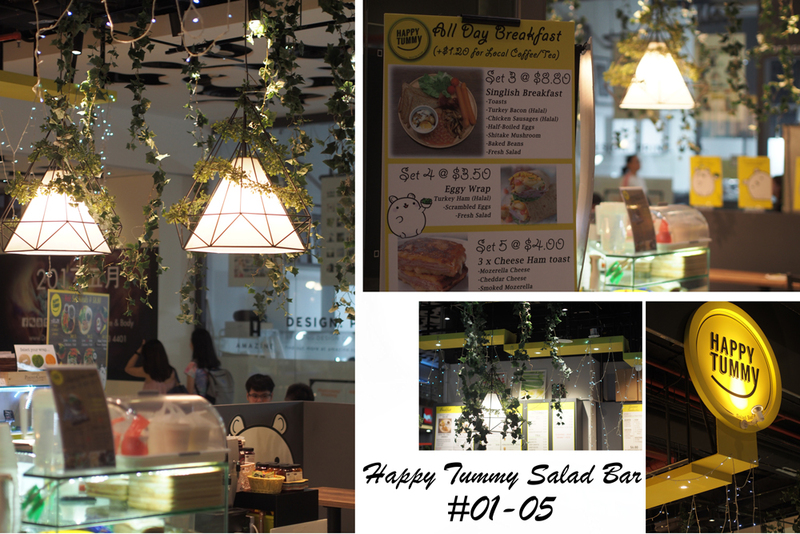 Don (@donnygao) snagged a spot at Happy Tummy, a cafe that offers both healthy food and sinful fare, and had a whale of a time snapping shots and chowing down. If you’re tired of heading to the gym for a run-of-the-mill workout, kick your exercise routine into high gear at Hyun Taekwondo Academy. Not only will you get to learn super cool self-defense skills, you’ll also get to do so while looking super fly! Check out Tyler (@tylomere) getting all pumped outside the dojang – needless to say, you’ll have a fun time there! PS: the academy offers a free trial session for first-timers so go sign up to get a feel of what’s in store! Students usually head to the printing stores only when they have course materials or assignments to submit, but not Derrick (@drrickjl). 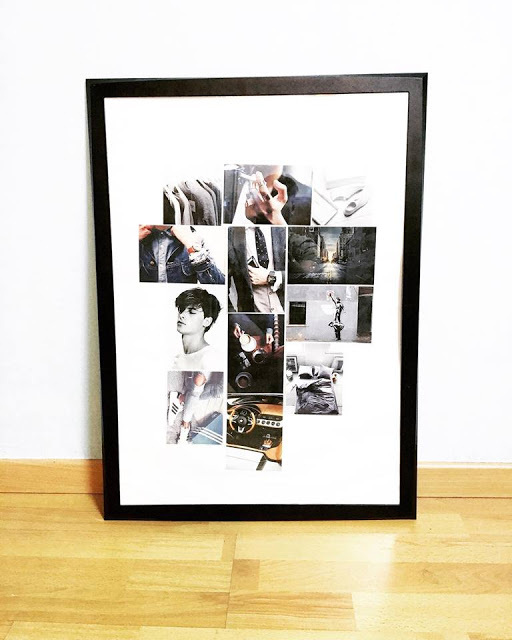 We’re pretty impressed with the aesthetically pleasing photo collage that he made at AMAZINE, the friendly printing shop at Wilkie Edge. Another little known fact about Wilkie Edge: it has 14 sky terraces – three of which you can chill at! Incidentally also a really cool place to take pictures at, these picturesque sky gardens are a welcome break from the hustle and bustle of the city. How did our finalists do? Leave your comments down below! In the meantime, stay tuned for more Teenage Gorgeous You! 2017 challenges, coming your way weekly!